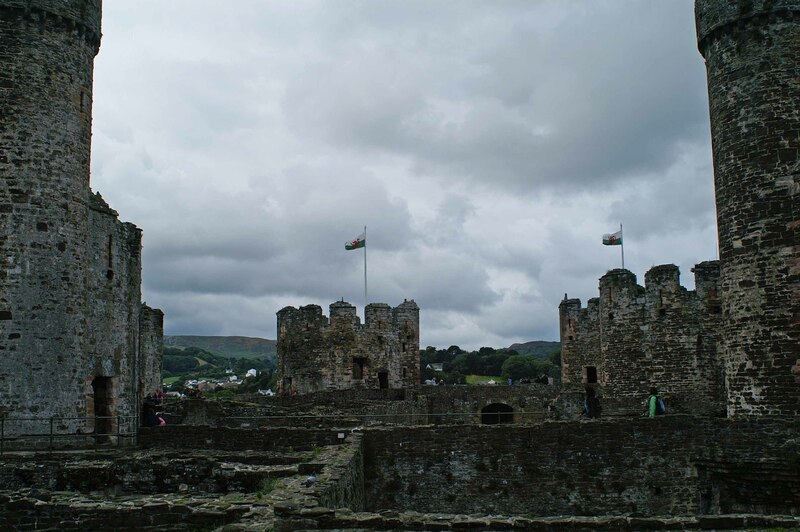 I hadn’t been inside Conwy castle until today and found it fascinating. 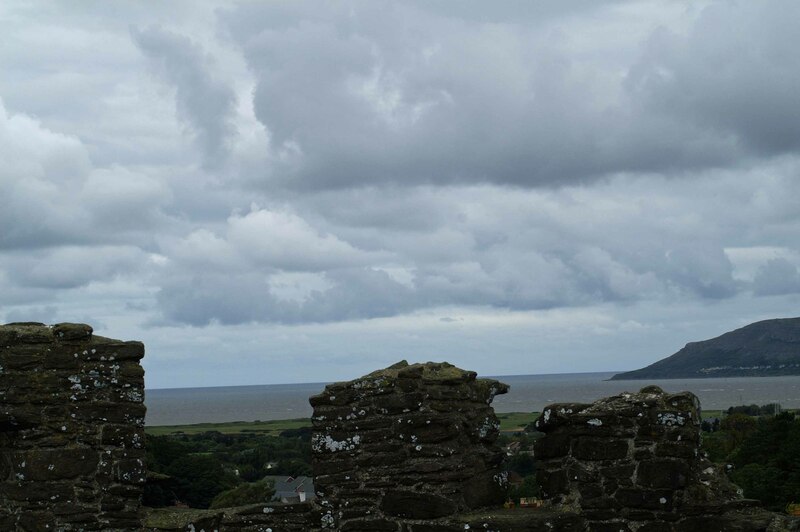 It is very well preserved, particularly the towers which are well worth the effort of climbing via their spiral stone staircases to see the fantastic panoramic views. 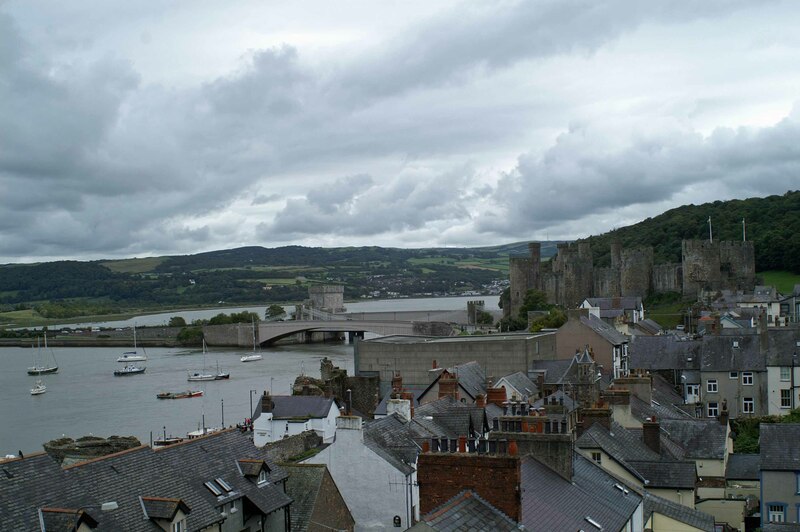 Conwy Suspension Bridge, was one of the first road suspension bridges in the world and is now in the care of the National Trust. 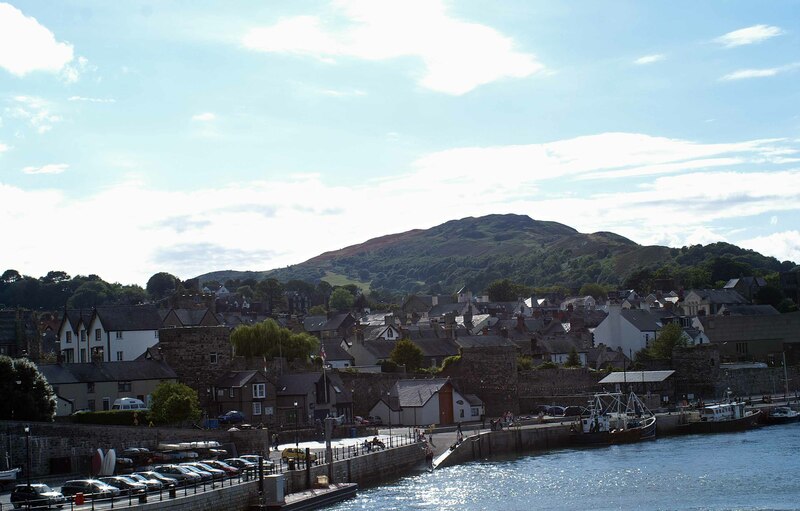 Built by Thomas Telford, the bridge is a suspension bridge spanning the River Conwy; it was completed in 1826 and replaced the ferry that once operated from the same point. 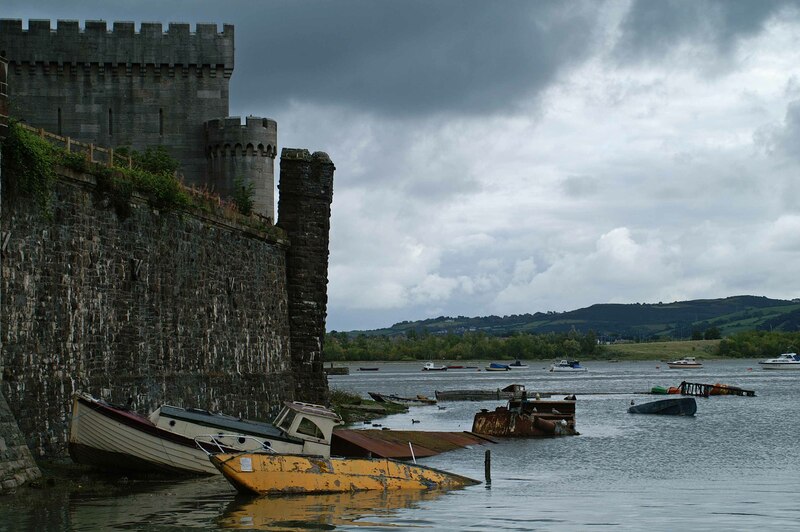 Telford matched the bridge’s supporting towers with the castle’s turrets. It is constructed in the same style as one of Telford’s other bridges, the Menai Suspension Bridge crossing the Menai Strait. 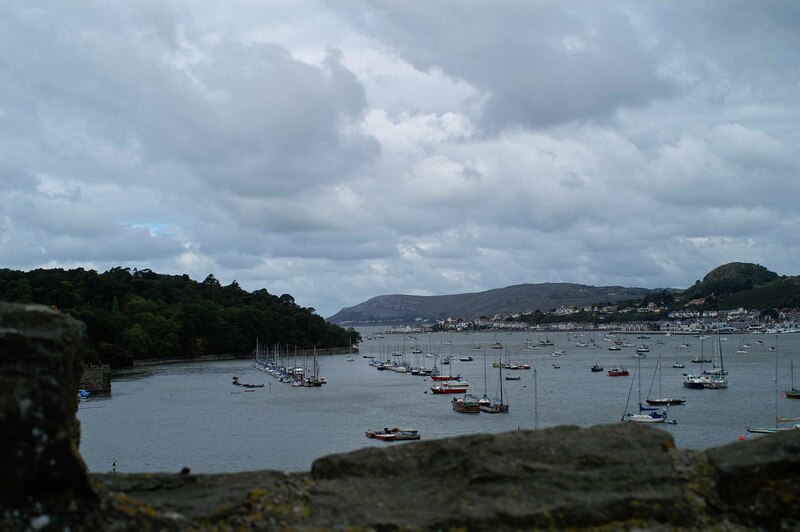 The Conwy bridge runs parallel to the wrought iron tubular railway bridge built by Robert Stephenson. 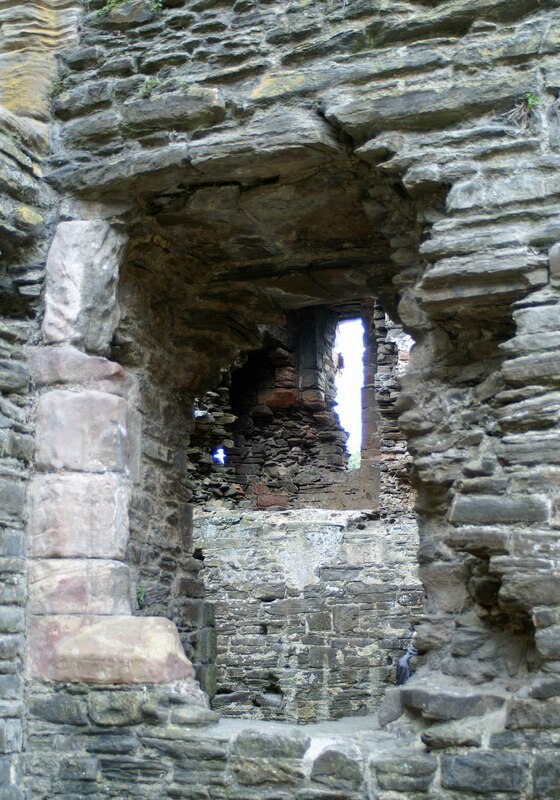 Built into the rock on which the castle stands, the bridge is very close to the castle and very narrow (only about 2½ metres across). Part of the castle had to be demolished during construction in order for the suspension cables to be anchored into the rock. 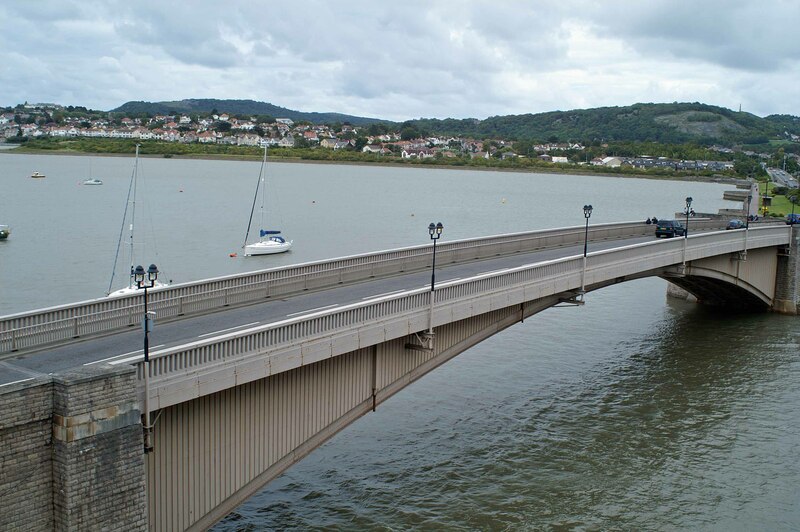 The new bridge is not the main route across the River Conwy — the crossing of the River Conwy has always been a problem and today the A55 road goes under the river by tunnel — but it is the major way across for local traffic. 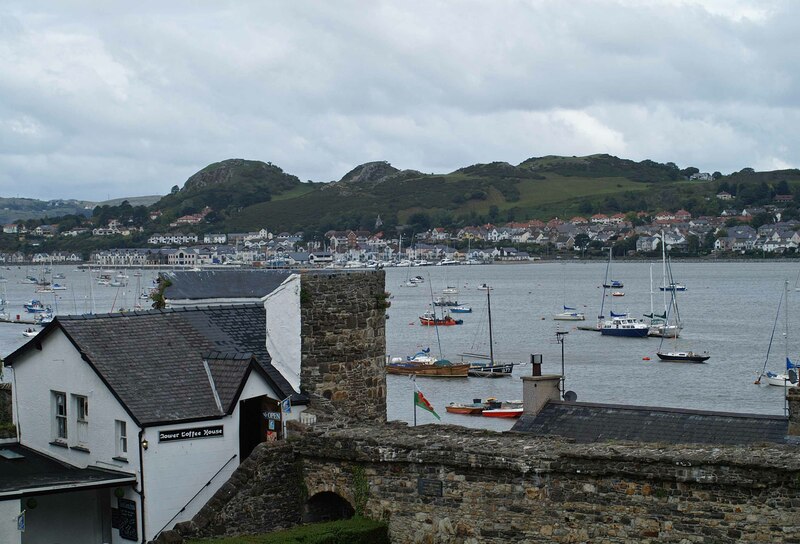 There are just three access points to the town walls and we began our walk around them at the point near to the harbour, then finished behind the railway station. 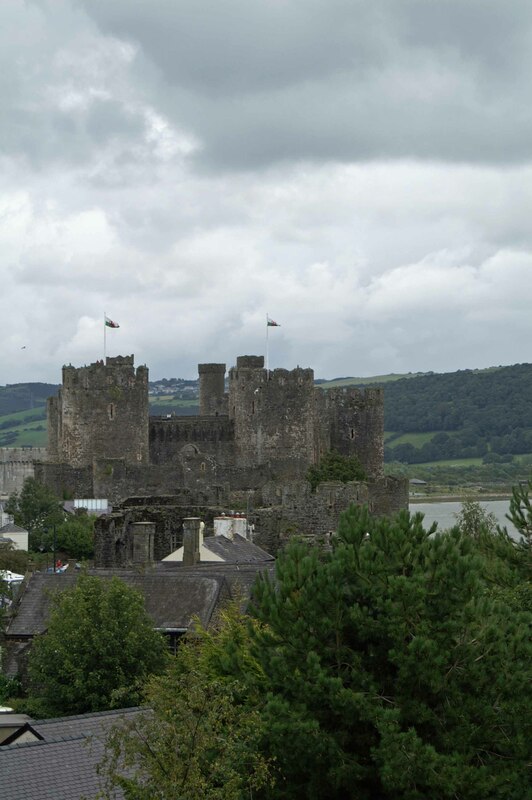 It is quite a long walk and as the walls follow the contours of the land they were built on, some lengths are steeply sloped, but again, it allows some fascinating views of the town, the castle and the surrounding countryside. 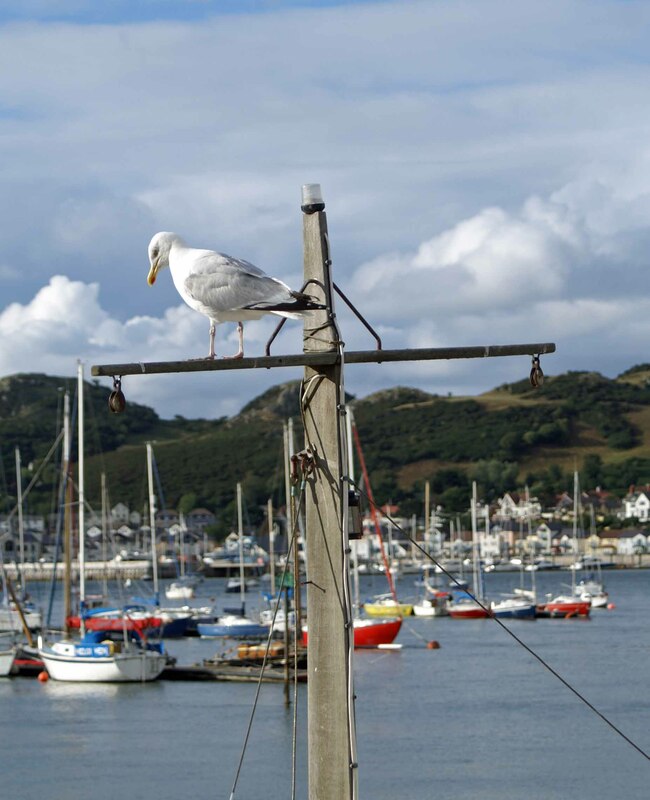 I love the town of Conwy and have been intending to visit since I arrived here, partly to have a walk around the castle and is walls, but mainly to check up on how the Herring Gulls are behaving down in the harbour. 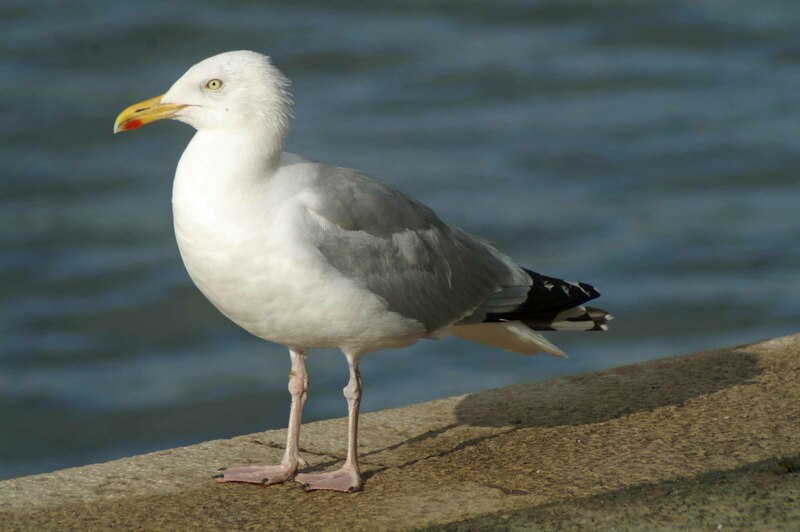 Conwy has a large population of Herring Gulls and they can be seen and heard throughout the town at all times of the day and often much of the night too! 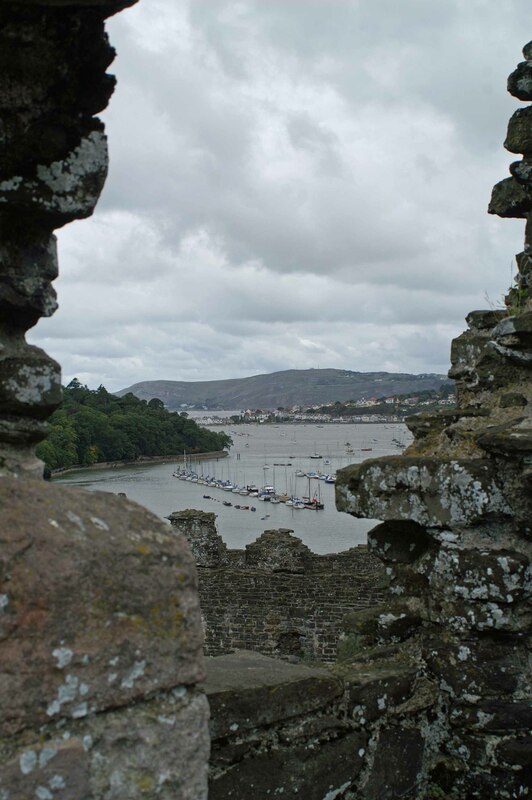 Conwy is regarded as one Europe’s finest surviving medieval towns, a status that is attributed to the preservation of both its castle and the intact town walls. 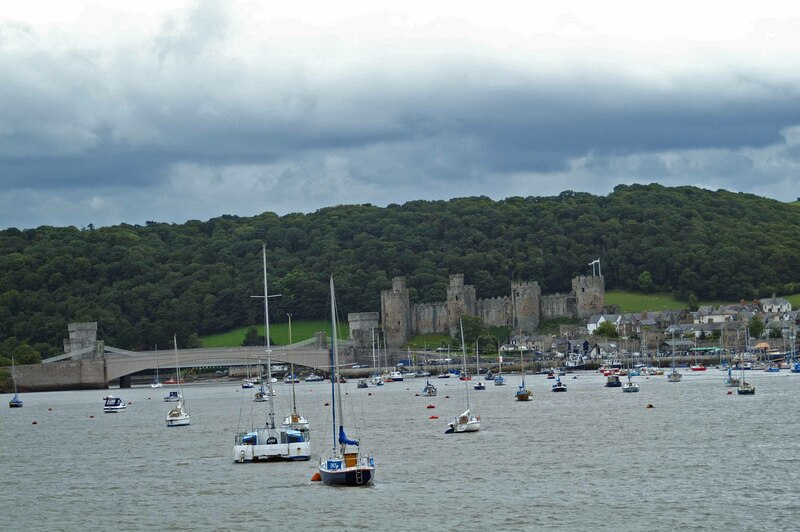 It is also beautifully situated on the Conwy estuary. 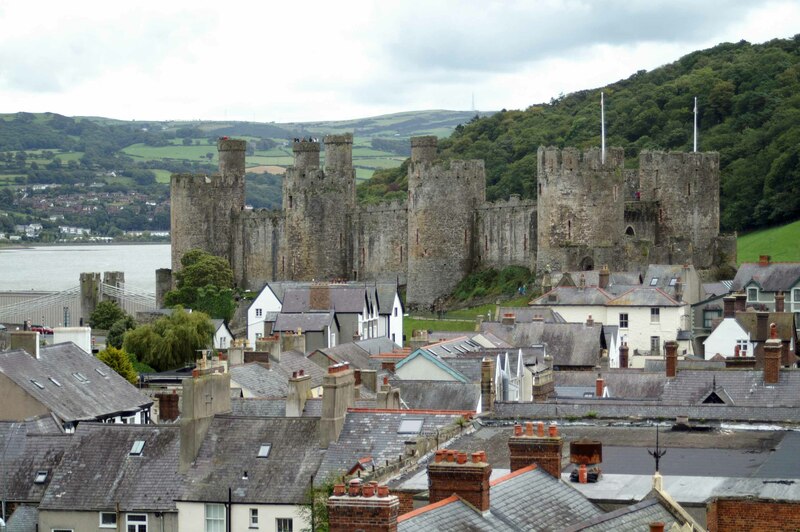 Conwy along with Harlech is probably the most impressive of all the Welsh castles. 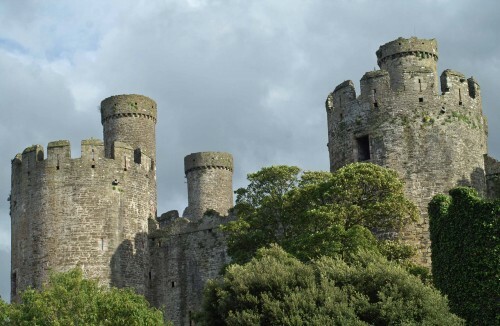 Both were designed by Edward I’s master castle builder James of St. George, and while Harlech has a more storied past, Conwy’s eight massive towers and high curtain wall are more impressive than those at Harlech. 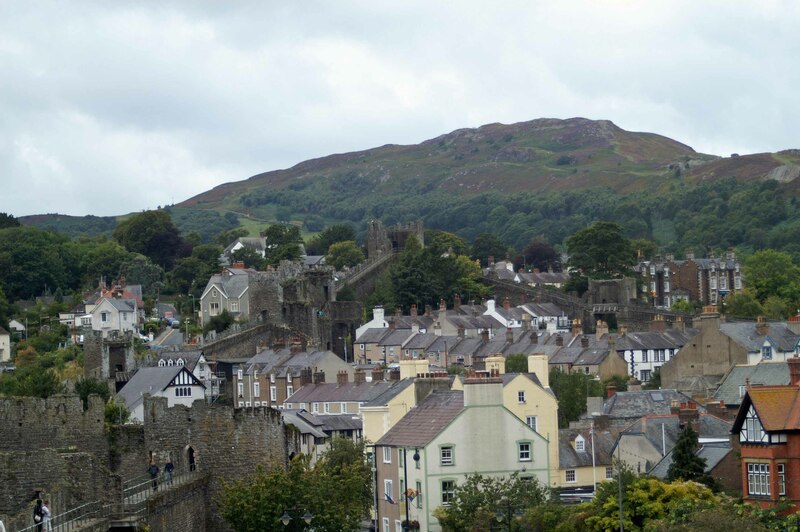 The walls of Conwy are judged the finest in Britain. 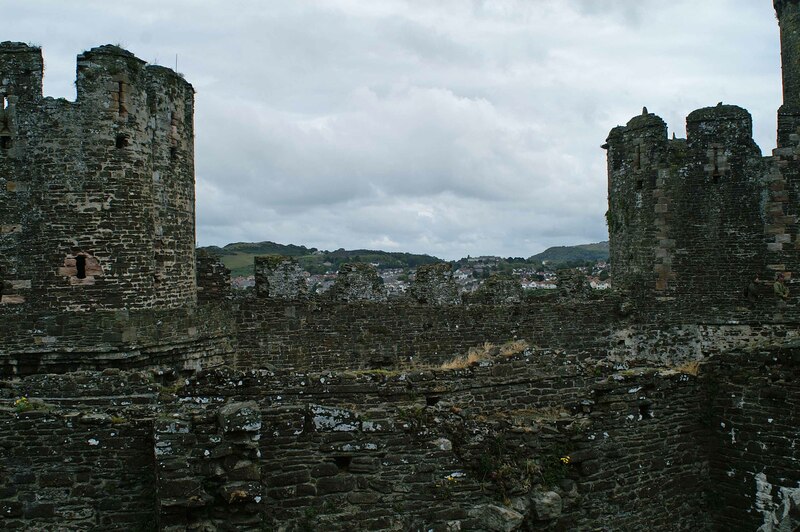 They are completely intact and still give the impression of enclosing and protecting the town. It is possible to walk around the town along the wall. The circuit of the wall is 3/4 of a mile in length, with 21 towers at regular intervals of about 46m. The wall is 1.68m thick and 9m high, with towers rising to 15m. 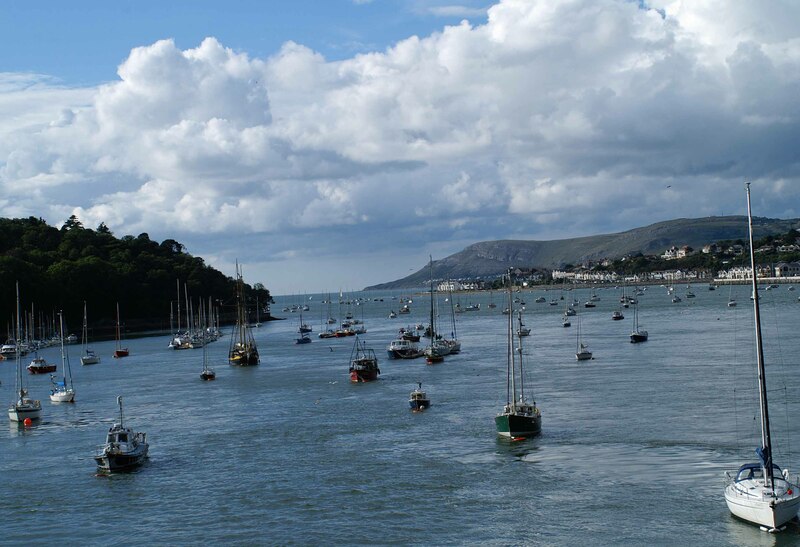 Conwy is famous for its Mussels and there is a ‘factory’ here in the harbour, not a very attractive one I might add, where the shellfish are processed. I love the sculpture, it looks beautiful and is very tactile. 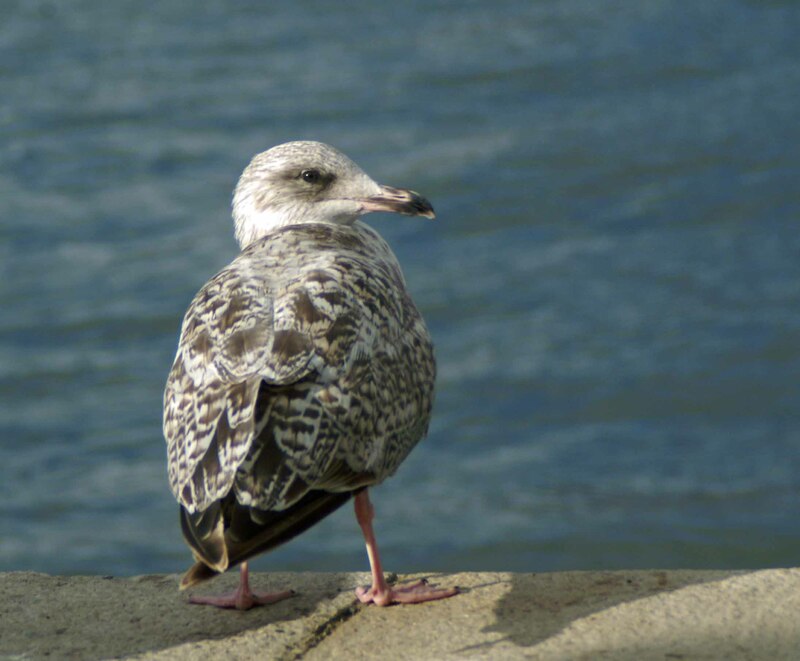 There were very few Herring Gulls around and about in the harbour area this afternoon and those there were on the whole very quiet and well-behaved. There were a few brief outbursts amongst them, all of them involving adult birds chasing away young ones. 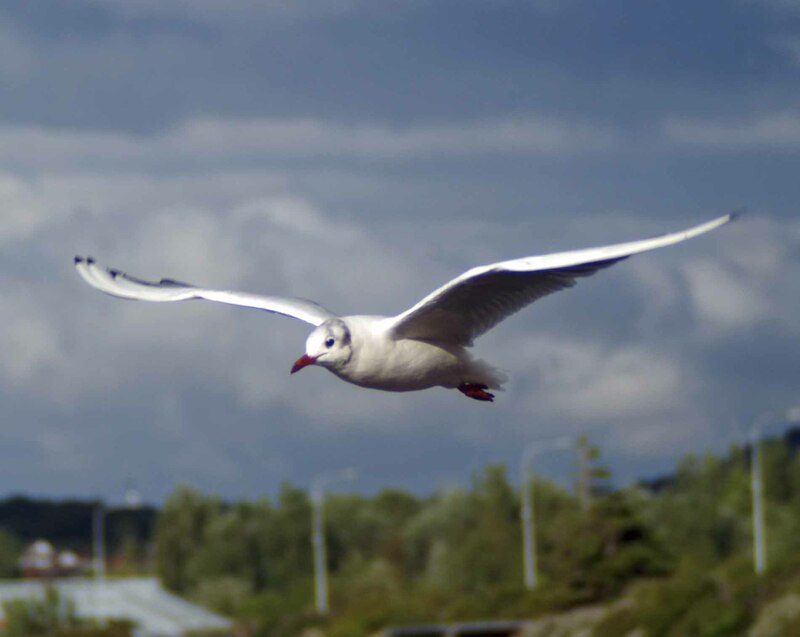 There were quite a number of Black-headed Gulls here, initially all swimming about on the water close to the harbour wall, but then one by one becoming restless and taking off and flying around the moored boats before returning. 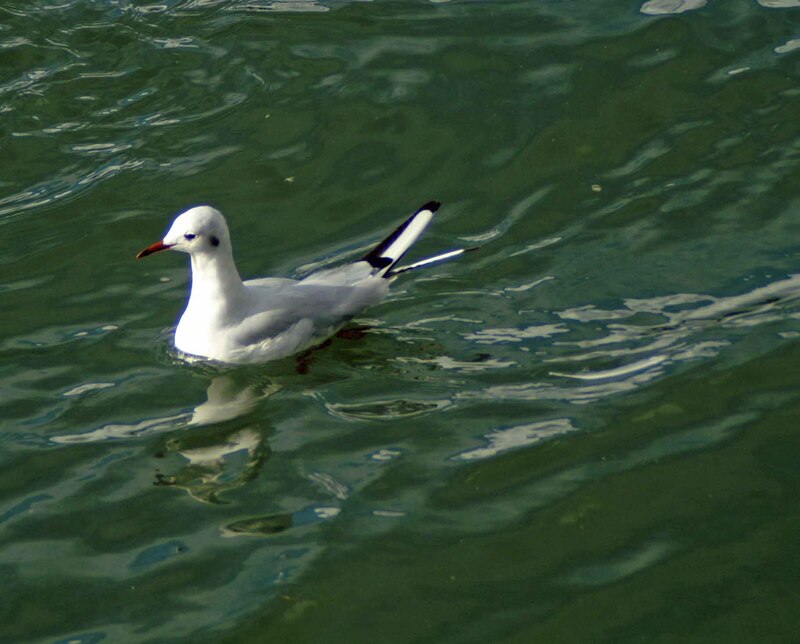 They are attractive little gulls and look almost dainty compared to the big Herring Gulls. Most of them here have taken on or are in the process of losing the dark heads of their summer/breeding plumage and have just the dark spots either side of the head. 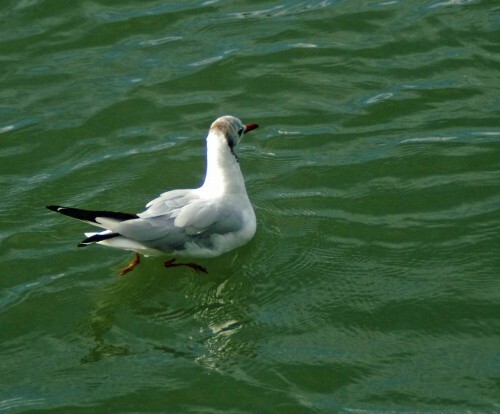 Their red legs are clearly visible as they paddled around in the water of the harbour. 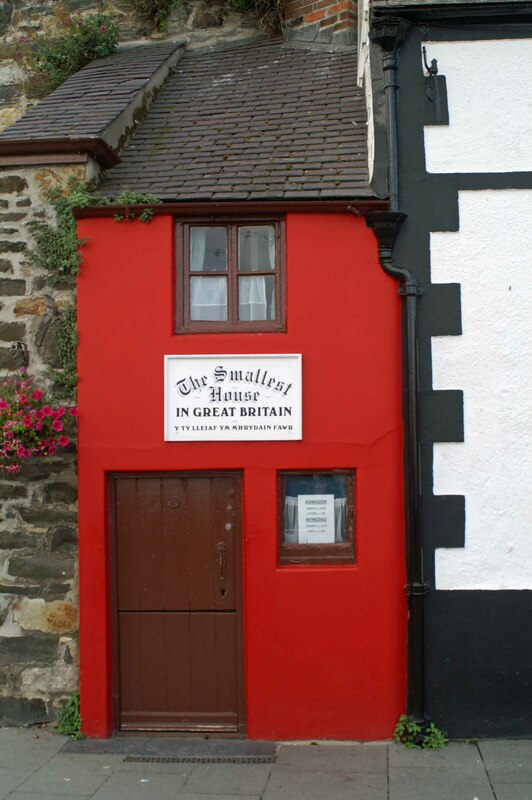 I could not resist one last photograph of the Smallest House in Great Britain, another of Conwy’s claims to fame. 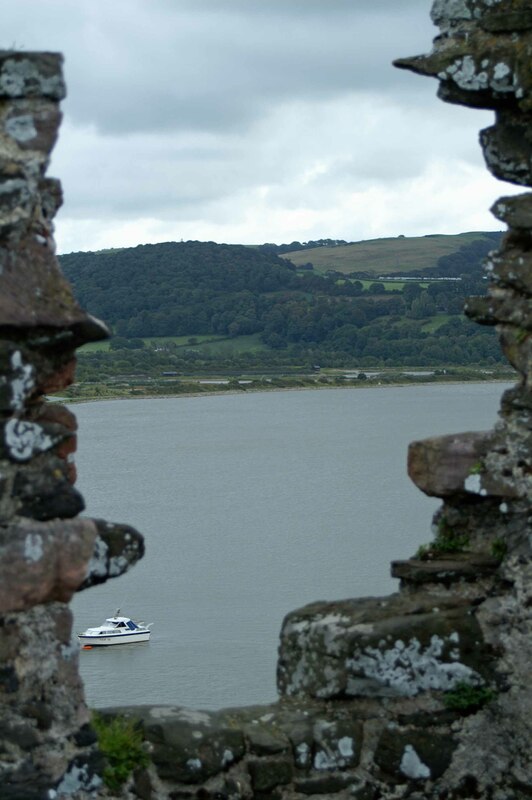 It’s usually almost impossible to see as when it is open it has people around it, as well as a lady dressed in traditional Welsh costume standing outside.